The company NORAIL respects your privacy and the use made of your personal data transmitted during the use of the various services of the Internet site www.norail.fr/en/. This section is dedicated to our Confidentiality Policy. It enables you to learn more about the origin and use of navigation information received when you consult our Internet site and about your rights. The company GROUPE C.D.E. BLANGIS (Siren: 425 025 046 – 50 Rue Théophile Boyer, 59360 Le Cateau Cambrésis), has the IT and human resources to easily manage and exploit the treatment of personal data received during the use of the Internet site www.norail.fr/en/. 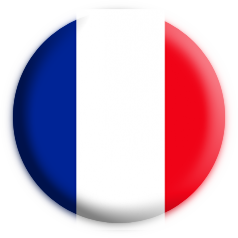 This treatment of personal data is the subject of a simplified standard declaration n°48 “Client-prospects file for on-line sales” with the CNIL, registered under the number 1776512.  The company GROUPE C.D.E. BLANGIS therefore undertakes to conduct themselves in accordance with the rules set out in the Law n°78-17 dated January 1978 modified in 2004 relating to Information Technology, files and liberties. • to manage feedback on products, services or content. • the organisms, court officers and ministerial officers as part of their mission of debt collection. In accordance with Articles 39 et seq. of the law n° 78-17 dated January 6th, 1978 modified in 2004 regarding information technology, files and liberties, everyone may obtain communication and, if necessary, the rectification or suppression of information concerning them, upon request using the form Contact. When using our Internet site, information regarding the navigation of your terminal (computer, tablet computer, smartphone, etc.) on our Internet site are liable to be registered in “Cookies” files installed on your terminal, depending on the choices you have made about cookies and which you may modify at any time. The Cookies we send are used for the applications described below. The term cookies refers to a text file capable of being saved, depending on your choices, in a dedicated area of your computer’s hard drive, when you browse an on-line service using your browser. A Cookie file allows its transmitter to identify the terminal that has saved it, during its validity or registration of the Cookie. The cookies installed on the terminal of the user of the Internet site www.norail.fr/en/ are not destined to adapt sales and publicity content shown on your terminal in our dedicated areas according to the personal data you have supplied and your browsing of our Internet site, in order to supply you with advertising based on your interests. You may make the choice at any time to express and to modify your wishes regarding cookies, using the methods described below. The saving of a cookie in a terminal is essentially subordinate to the wishes of the terminal user, that the latter may express and modify freely at any time through the choices provided in the navigation programme. If, in your navigation programme, you have accepted the saving of cookies in your terminal, the cookies linked to the pages and content that you have browsed will be temporarily saved in a dedicated area of your terminal. They will only be recognised by their transmitter. If you refuse to allow cookies to be saved on your terminal, or if you delete those that are saved, you will no longer be able to take advantage of a certain number of functions that are necessary to browse certain areas of our Internet site. This would be the case if you tried to access our content or services that require identification. It would also be the case if we – or our suppliers – could not recognize, for technical compatibility purposes, the type of browser your terminal uses, its language and display parameters or the country from which your terminal appears to connect to the Internet. In this case, we decline all responsibility for the consequences of the reduced functionality of our services arising from our incapacity to register or check the cookies they require and that you have refused or deleted. Inasmuch as you have supplied us with your personal data, particularly your electronic address, when registering or accessing one of our services, we may, depending on your choices, link browsing information about your terminal, treated by the cookies we transmit, with your personal information so that we may send you, for instance, electronic prospecting. You may, at any time, ask us to cease sending you advertising or prospecting by contacting us directly and free of charge, or by using the deregistration link included in all prospection material that we may send by e-mail. Our confidentiality policy, as defined herewith, was put on-line on January 2017. We reserve the right to change our practices regarding personal data at any time and without notice.